Why we need ornament? It’s in our nature. How we see ornament or pattern? We read it. 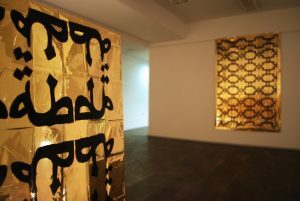 Shining Surface includes patterns and ornament on shining foil builded by letters from the Middle East which together, side by side, are trying to create a specific atmosphere mixed by black letters, shining surface and reflection from material and reflection of oneself – the visitor of the installation can see himself in a shining material. 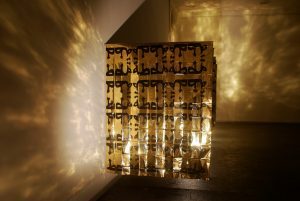 Ornaments are made to be read, to be enjoyed, to create an atmosphere of freedom and involve them to our daily patterns. We are part of different patterns and we build ornaments all the time through our life. Different objects in installation Shining surface are part of social networks, part of different materiality and semiotic. Ornament is like a third person a mediator who is essential for communication as the point of change. 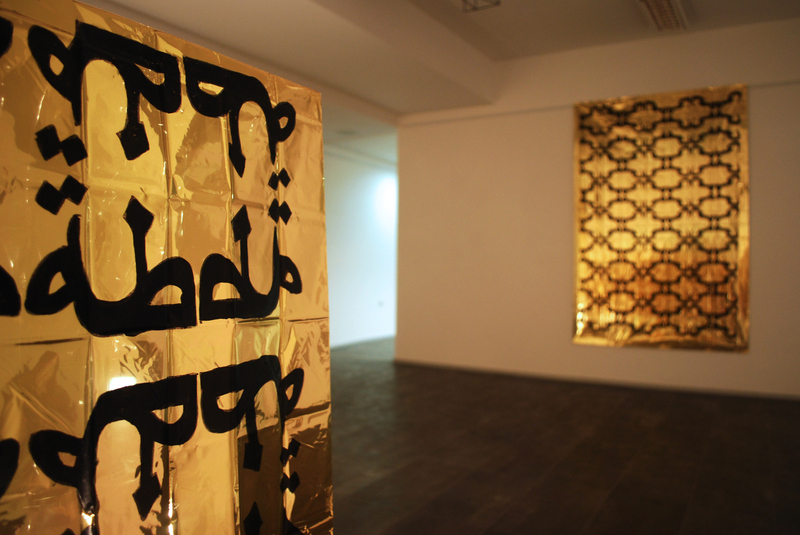 The pattern enables communication, where the ornament, with its beauty and aesthetics can disrupt messages. 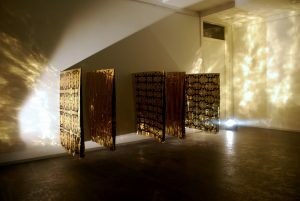 As well ornament with his aesthetic platform can produce buzz, noise and jamming the messages. Shining material in the installation produces bearable noise, buzz and reflects light on the walls and all over the exhibition space. Another influential component of this special atmosphere is entirety of elements that only makes sense in relation to one another, letter by letter, sign by sign. Ornament on the surface is not only specific artistic product, but also a nither general attitude to the world and everyday life. 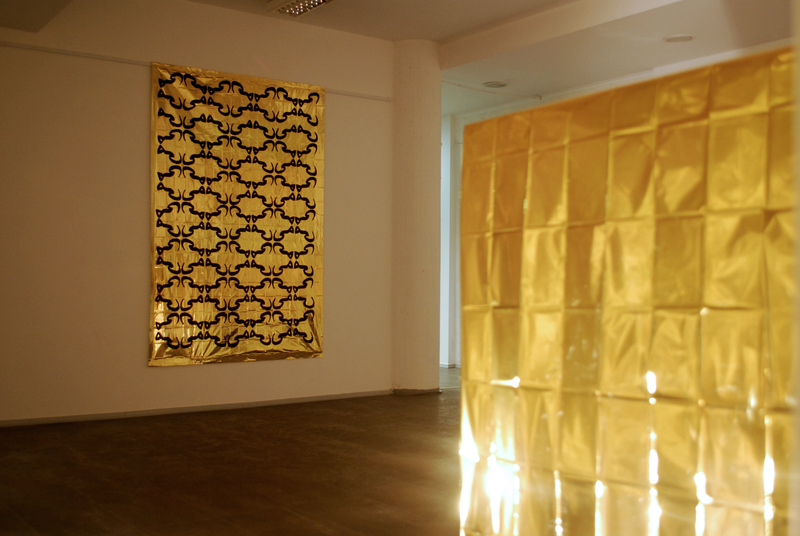 Art is very much determined by social context and artwork titled Shining Surface is part of it as well. It exists with presence of the visitor, who is observing the surface and being mirrored at the same time – so visitor is true the artwork observing also himself.